Buddhism has a thing for numbered lists: Two Truths. Three Marks of Existence. Four Foundations of Mindfulness. Five Precepts. Six Paramitas. Seven Factors of Enlightenment. The Eightfold Noble Path. Twelve links of Dependent Origination. Thirty-two Marks of the Buddha. Fifty-one Mental Factors. Fifty-two Stages of the Bodhisattva Path. There’s a lot of stuff to remember and the lists are mnemonic devices that help keep everything straight. Buddhist practice can be endlessly complicated. Some people like things with more details, more rules, more rituals, more practices, complex visualizations. If you are one of them, there is a Buddhism that is just right for you. There are 84,000 different Dharma doors. Not me. I like things simple. My favorite ice cream is plain vanilla. Five is as much as I can wrap my head around. If I stick with these five there is more than enough to keep me busy. 1) Being Present — The practice of Being Present involves mindfulness, both in dedicated sitting practice and in daily life. It also involves a commitment to whole-heartedness — if you are going to do something, do it all the way with your whole being. It also means showing up — be there to do what is needed — don’t evade responsibility for doing what has to be decided or done. 2) Be Open-Hearted — Open-Heartedness is the practice of commitment to the way of compassion, lovingkindness, empathy, tolerance and forgiveness. It is the practice of accepting people the way they are, no matter how different or deficient they may be. That doesn’t mean that you accept or approve of everything others do, and it doesn’t mean you don’t protect yourself from the harmful action of others. It just means that you keep them in the category of “one of us.” All beings are “one of us,” no matter how much they might seem otherwise. 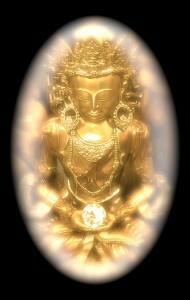 We say, in the metta chant, sabe satta, “whatever beings there are.” We wish them happiness and freedom from suffering. Compassion and kindness are not just emotions to be cultivated as mental states. They involve our compassionate and loving activity in the world. 3) Show Respect — All things are interconnected. Who we are, our very life and existence, is dependent on the interdependent cooperation of all things. Can we show appreciation, gratitude, and respect for all things? This means not only bowing to and respecting all beings, including animals and plants. It means appreciating and caring for all things that come into our little circle of life. It means keeping air and water clear and unpolluted. It means appreciating and respecting the earth, and being a good steward. It means raising animals humanely and growing crops without toxins. It means keeping our living space orderly and clean. It means taking care of the things we own. It means respecting and caring for other people’s belongings. We bow deeply to all. 4) Have Courage — Don’t live your life out of fear, but live your life out of your convictions. Don’t be afraid to take a stand, to express a conviction. Don’t be afraid to love. Don’t be afraid to do what wisdom tells you needs to be done. This doesn’t mean that you should be in other people’s faces or take foolhardy risks. It just means that your existence should be life-affirming, not fear-based and avoidant. 5) Let Go — No one died and left you in charge of things. The world is not yours to control. Our practice is one of mindfulness, open-heartedness, respectfulness and courage. That doesn’t mean that everything we do turns out right, the way we had hoped and expected. It doesn’t mean that others always reward us or appreciate us for what we do. It doesn’t mean we get what we want. We still get old, and sick, and die. All relationships, even the one’s we care about most, even the good ones, all end eventually. If all goes well they end with our death or theirs, if all doesn’t go well, they end in acrimony. Nothing we like and want to hold onto remains constant. Change, entropy, habituation, and cycles of decline, transformation, and rebirth govern the multiverse. Our practice is a continual one of letting go, non-clinging, and acceptance, over and over. Just like when we do our sitting practice, the practice is one of continual letting go moment by moment. Letting go of our demands on the moment — how this moment ought to be — and accepting it just the way it is. Do I personally embody these practices in my own life? No. They are horizons to be aimed at, not accomplishments to be attained. The practice-life never ends. We have to recommit to it moment by moment. We continually fall short of our practice goals, notice when we have fallen short, and recommit again, until we forget again. This is our human life. Will these practices make you Enlightened? They haven’t made me Enlightened. But engaging in these practices is enlightened activity. When we engage in these practices all things express Buddha nature through us. The true teaching is to accept “things as it is” and to raise it, or to let it grow, as it goes. I understand the purpose of our practice in this way. We do it by living on each moment in the right position, by giving things some nourishment, day by day, when they want it. And to understand what they want, you should be able to talk with them. That is Zen.